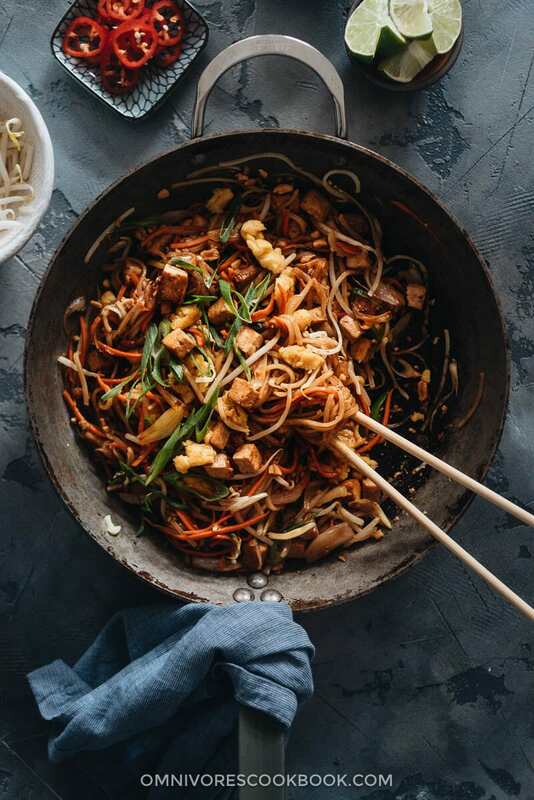 The fat noodles are stir-fried with plenty of aromatics, veggies, vegan eggs, and marinated tofu in an extra rich sweet and sour sauce. Detailed cooking notes are included to guarantee you a great result that tastes even better than the restaurant version. After my husband started his vegan blog Gastroplant, I naturally started to cook more vegan dishes. I noticed that when I stay vegetarian and vegan, my body feels less heavy during the day and I can eat as much as I want and not worry about weight gain. So here it is, the vegan Pad Thai recipe. I really love this recipe because it reminds me of the Pad Thai I had in Thailand. It has plenty of veggies and texture. And the sauce is super rich and bursting with flavor. Even though it lacks prawns, I replaced them with marinated tofu, which produces a great result. I even threw in a vegan egg made from chickpea flour, just for fun. OK, now this recipe might look quite long and complicated. But I promise, it is quite straightforward if you just follow the steps. And you’ll find the result so rewarding. In the past, I usually included a few short recipe notes on how to convert a regular dish into a vegan one. 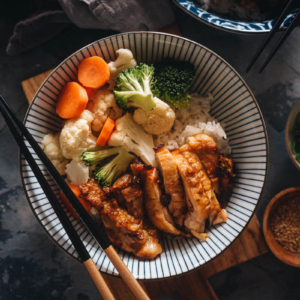 After I learned about and ate more vegan and vegetarian dishes, I found that simply replacing the protein with tofu or adding shiitake mushrooms to boost the flavor simply won’t cut it. A vegan version usually requires a bit more attention to create an equally delicious taste. Here is my approach for the vegan Pad Thai. This recipe doubles the amount of aromatics used in a non-vegan version. 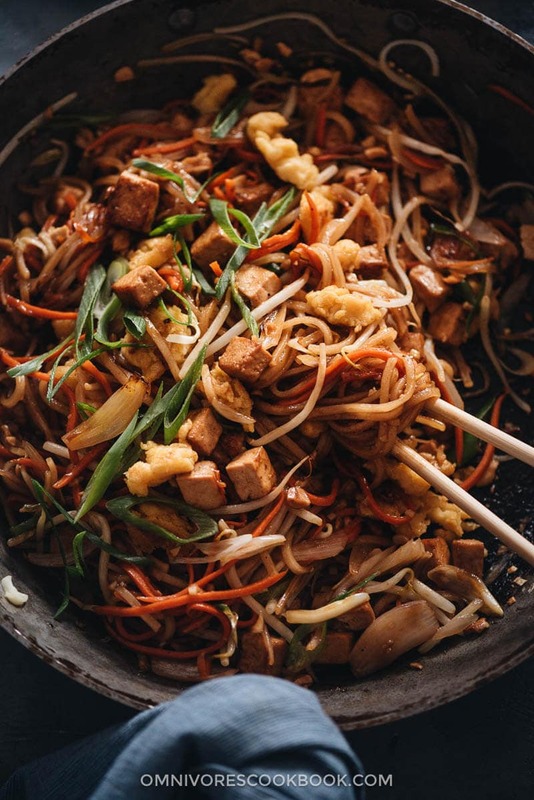 The meat, fish sauce, and the eggs in a standard Pad Thai add a lot of umami and depth to the dish. I found that I usually need to add a bit more herbs – in this case, shallots, garlic, and green onion – to make the vegan version stand out. 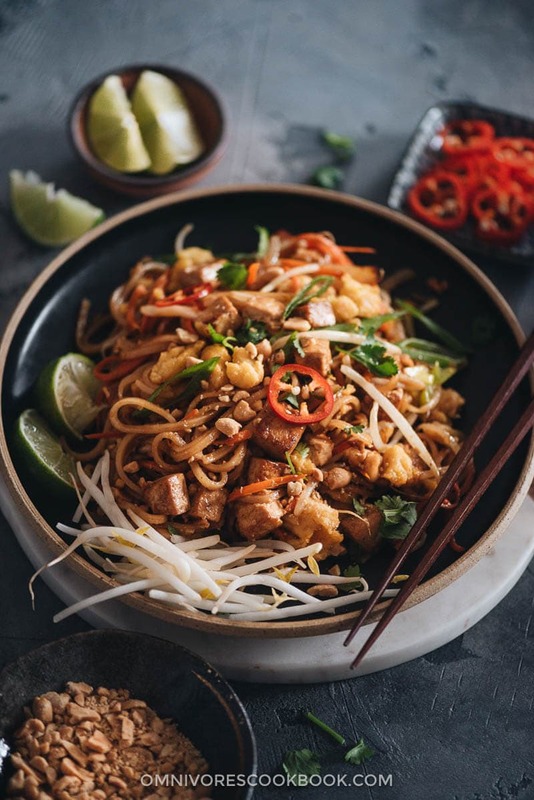 A typical Pad Thai usually contains a bit of tofu and the tofu does not require marinating. However, since we’re also using tofu to replace the meat / seafood in the dish, the extra process makes a difference. When I mix the sauce, I simply make a bit more and use the same sauce to marinate the tofu. When cooking the tofu, I also pour the marinade into the pan to cook with the tofu. It ends up creating very flavorful protein bites that taste great by themselves. I’ve seen some recipes use soy sauce to replace the fish sauce. I’ve tried it at home, but always felt something was lacking. So I decided to use an ingredient from Chinese cooking – vegetarian oyster sauce. If you have some extra time and would like to create a healthier dish, homemade vegetarian oyster sauce is always a great option. Alternatively, the bottled one will work just as well. Vegetarian oyster sauce contains concentrated mushroom extract and adds more dimension to the sauce than soy sauce. Tamarind paste is made from the tamarind fruit. The fruit has the shape of a pea pod and a dark color. The fruit is sticky and has a sour citrusy taste. It does have notes of smoke and caramel as well, which make the flavor more complex than vinegar. Tamarind paste is a key ingredient in Thai dishes, such as Pad Thai. I consider its importance equivalent to that of Chinking vinegar in Chinese cooking. Combined with soy sauce and cane sugar, tamarind paste creates a rich sweet and sour taste that makes authentic tasting Pad Thai. I do know that you might create a similar flavor profile by combining ketchup with rice vinegar (some takeout places use the same method). 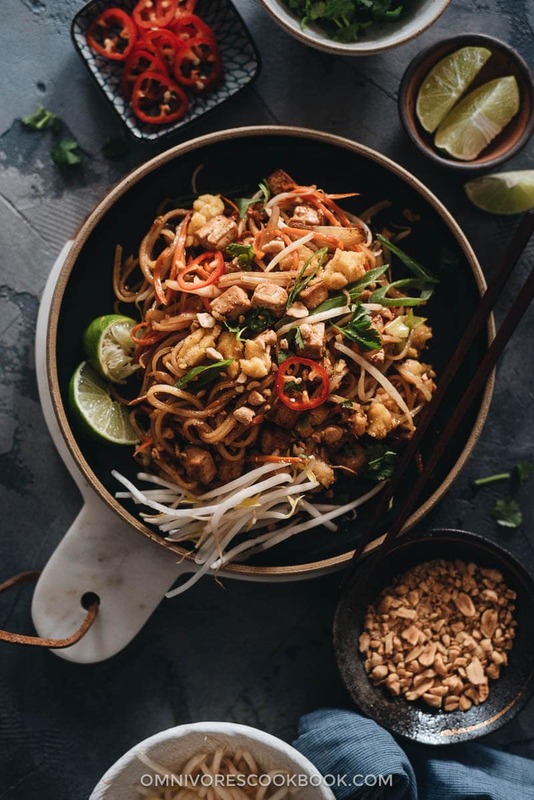 But this recipe calls for tamarind paste, to create a Pad Thai that’s true to the original version. You can find tamarind paste in the Asian aisle of some grocery stores such as Whole Foods or in an Asian market. You can also find it on Amazon. It’s a fun experiment that I conducted recently and I liked the result. 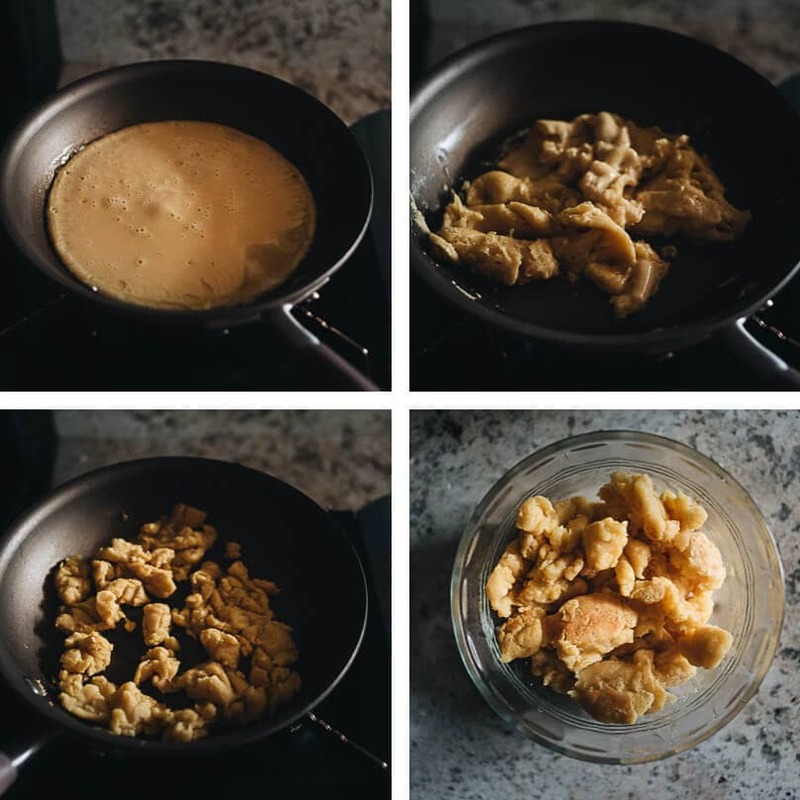 It uses chickpea flour and water to create a runny mixture that’s similar to beaten eggs. Then you use Indian black salt to add a bit of eggy taste. 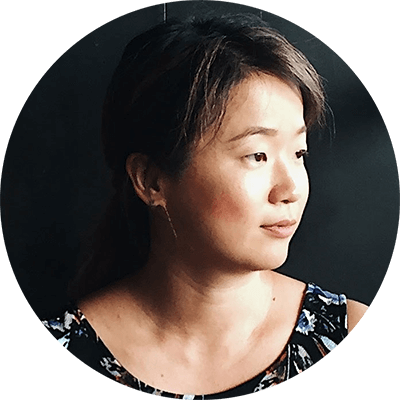 If you’ve never heard of black salt, you can read this post for a more detailed explanation. Basically, the black salt has a sulfuric taste similar to that of a hard-boiled egg yolk. The chickpea egg makes a great alternative to eggs. But even if you use regular salt, the end product will still be tasty and it adds fun texture to the dish. 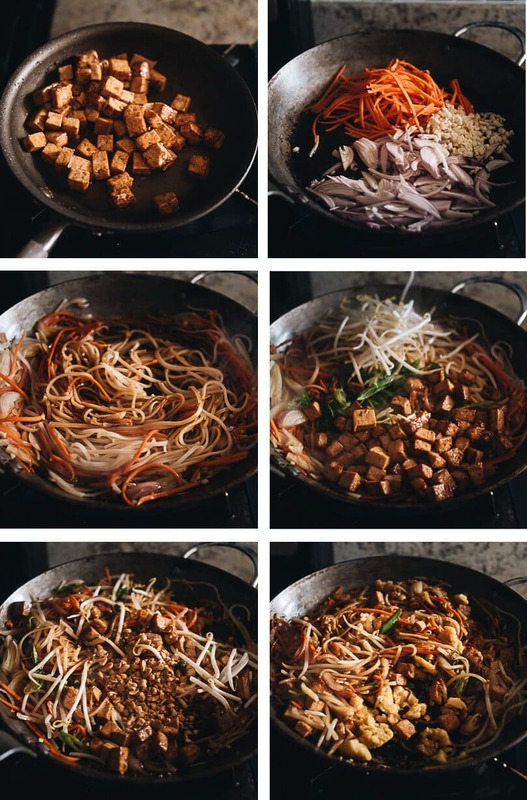 You can skip this step and still make a great vegan Pad Thai. And of course, feel free to use chicken eggs if you’re making a vegetarian dish. My favorite type is Thai Kitchen Stir-Fry Rice Noodles. It is vegan and gluten-free. The noodles hold their shape well during the stir-fry and taste good even as leftovers. They are quite easy to find. I’ve seen them at Whole Foods and Walmart. Other types of flat rice noodles will work in this dish, too. Note, avoid rice vermicelli, which might look very similar to these rice noodles. It has a different texture and sometimes falls apart easily during stir-frying. 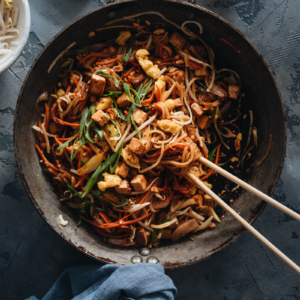 The fat noodles are stir-fried with plenty of aromatics, veggies, vegan eggs, and marinated tofu in an extra rich sweet and sour sauce. 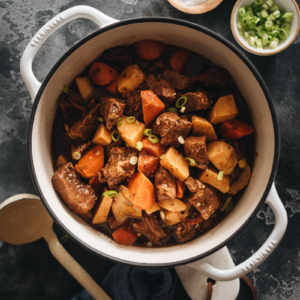 Detailed cooking notes are included to guarantee you a great result that tastes even better than the restaurant version.It is possible to make this dish gluten-free by replacing soy sauce with tamari or coconut amino, and replace bottled vegetarian oyster sauce with homemade oyster sauce. Combine all the sauce ingredients in a medium-sized bowl and stir to mix well. Transfer the tofu to a medium-sized bowl. Transfer 3 tablespoons of the sauce you just made. Carefully fold together with a spatula, so the tofu is evenly coated with sauce. Marinate for 10 minutes, or until ready to use. Heat a pot of water to bring to a boil. Remove from heat and soak the rice noodles according to the package instructions. It usually takes 5 to 8 minutes, depending on the product. The noodles should become al-dente, soft enough to eat but not too tender. Chop and prep all the veggies and herbs. (Optional) Mix all the ingredients for the vegan egg in a medium-sized bowl. Stir until no lumps remain. To cook the eggs, heat 1/2 tablespoon oil in a small nonstick pan (*Footnote 3) over medium heat until hot. Add the egg mixture. Let cook without touching for 1 to 2 minutes, until the bottom sets completely and the top is still a bit runny. Stir with a spatula to break apart the mixture. Let cook, 3 to 5 minutes, stirring and breaking apart occasionally, until the mixture is cooked through and the surface turns light golden brown. Transfer to a small bowl and set aside. Add 1/2 tablespoon oil to the same nonstick pan. Add the tofu along with the marinade. Cook, stirring occasionally, until the sauce evaporates and the surface of the tofu turns golden brown. Transfer to a plate and set aside. Heat the remaining 2 tablespoons of oil in a wok (or nonstick pan, or carbon steel pan) and heat over medium high heat until hot. Add the carrot, shallots, and garlic. Stir and cook for 1 minute. Add the noodles and pour in the sauce. Toss with a pair of tongs to mix well, 1 minute or so. Add tofu, green onions, and bean sprouts. Toss one more time. Add the peanuts and the cooked chickpea eggs. Give it a final stir and remove the pan from the heat immediately. Transfer everything onto serving plates. Serve hot as a main dish. You can also use homemade oyster sauce. You can use 2 large eggs to replace this step if you’re cooking a vegetarian (not vegan) dish. I used a small nonstick pan and a big carbon steel pan to cook the recipe. If you have a large nonstick pan, you can use this pan for the entire recipe.